A truce between Simkada and Valyna on the planet of Urshan Dai remains fragile and tense. Travelers rarely venture beyond their homeland cities for fear of ostracization and safety. War breaks out shortly after an incursion of Valynan soldiers into Simkada's territory, shattering the delicate peace between the two cities. Against this tense political backdrop, Nadan, with his friends, Ranum and Naria, who are all part of an ancient mystical order called the ajnir, travel across the planet in a quest to unravel the riddles of a strange apparition known as a uriel. In a far away mystical city across the vast desert that encompasses most of Urshan Dai, the three companions learn a strange truth about the history of their planet. Matt Gunderson graduated from Middlebury College in 1999 with a degree in Classics. Since that time, he has worked as a reporter for a variety of newspapers in New England, including The Community Newspaper Co., The New Hampshire Union Leader, The New England Center for Investigative Reporting, and The Boston Globe. He also writes poetry and studies metaphysics in his spare time. 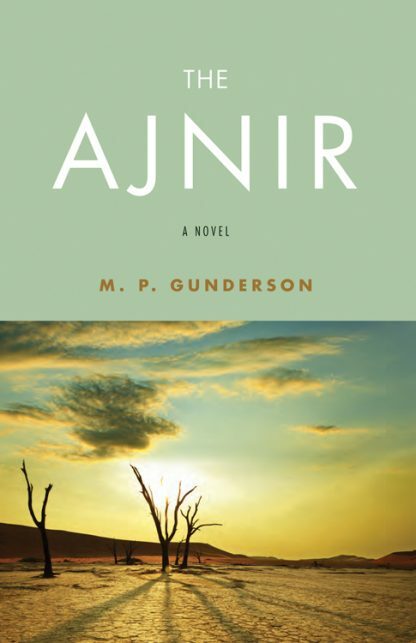 He began work on The Ajnir in 2003 under the working title of The Half Planet.